C1515. BRUNO MADERNA Cond. 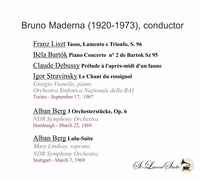 RAI S.O., Torino: Debussy, Liszt & Stravinsky; w.Giorgio Vianello: Piano Concerto #2 in G (Bartók), Live Performance, 17 Sept., 1967; BRUNO MADERNA Cond. NDR S.O. 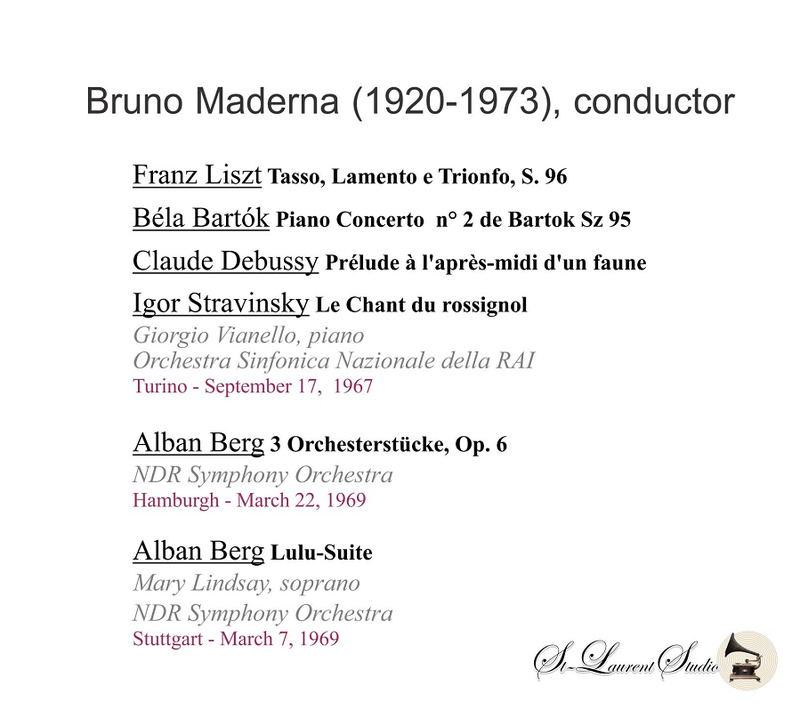 : Drei Orchesterstücke, Live Performance, 22 March, 1969; BRUNO MADERNA Cond. 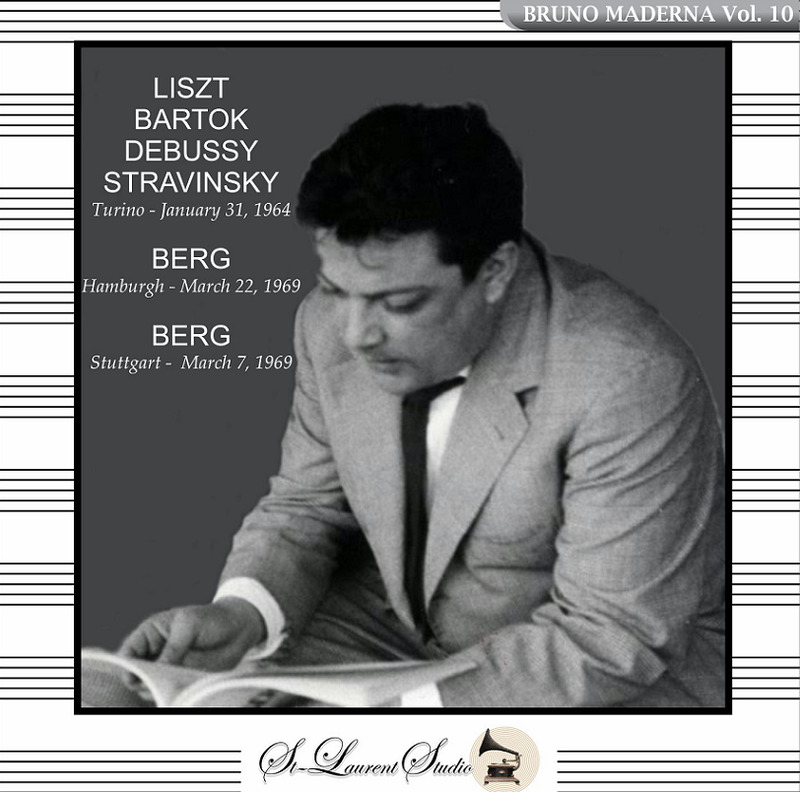 NDR S.O., w.Mary Lindsay: Lulu - Suite (both Berg), Live Performance, 7 March, 1969. (Canada) St Laurent Studio YSL T-464. Transfers by Yves St Laurent.